National Trust Sites – The National Trust is the UKs biggest landowner meaning there is bound to be somewhere close by to get out and explore. 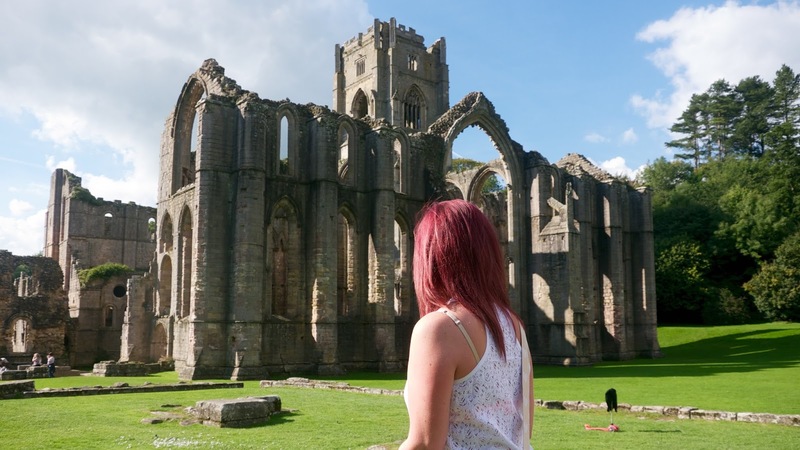 From stately homes, to fell walks there really is something for everyone, the photograph above was taken at the amazing Fountains Abbey in North Yorkshire where you can spend hours exploring the Medieval Deer Park (and watching the Deer that still live there! ), the Georgian Water Gardens and the remains of what was one of the largest monasteries in Europe. Prices vary at National Trust sites so it is always worth checking out their website first. Paul & I have a National Trust membership which costs just £8.25 per month and knowing that we’re paying for it has motivated us to get out more. English Heritage Sites – Although they mat not be as big as the National Trust in terms of the amount of land that they own, they do have over 400 historic sites (including Hadrians Wall & Stonehenge) within their portfolio that they care for. So again it is highly likely that there will be one near you that you could go and visit. All sites are independently priced so it is always worth checking their website before visiting, especially as some sites, such as Stonehenge for example, require you to pre-book your visit. You can join English Heritage for £50 per year which gives you access to all of their sites and more! Local Parks & Recreation Sites – You may be surprised to see just what your Local authority owns so it always worth heading online to see what is listed in their Parks & Spaces pages. Although you may need to pay for parking at these (because let’s face if if your council can charge you for parking they will) they often have large areas of woodlands that you can explore and build up an appetite for the tea room whilst walking. Reservoirs – I never realised until a few years ago that Yorkshire Water had so much within their portfolio of leisure sites! But I guess it makes sense given the amount of land they own in the county. From cycling and walking routes (Ogden Water is my favourite) to Fishing and Horse Riding, there is a wide range of places you can visit . As with LA Sites you may need to pay to park but the fee is usually very reasonable, the air clean and the views amazing.